WASHINGTON CROSSING, Pa. -- George Washington and his troops have made their annual Christmas Day trip across the Delaware River. 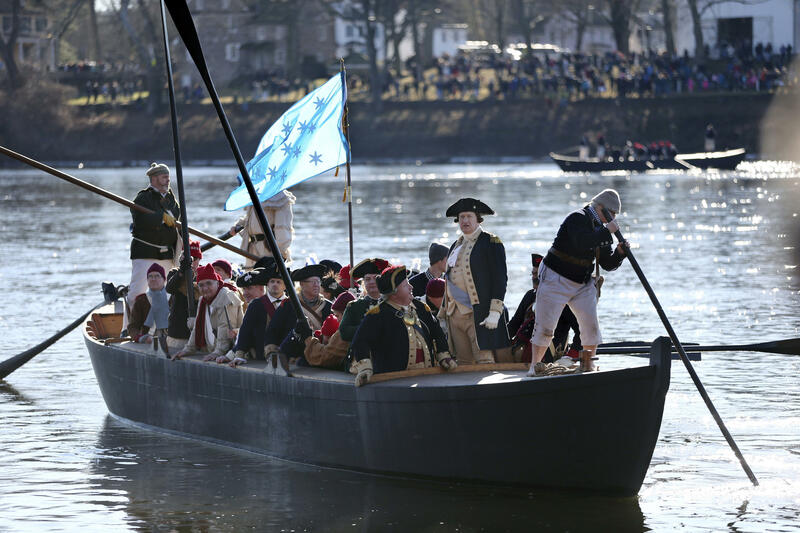 The 64th annual re-enactment of Washington’s daring Christmas 1776 crossing of the river took the group from Washington Crossing, Pennsylvania, to Titusville, New Jersey, on Sunday afternoon. The annual Christmas tradition drew large crowds of families and fans of history to both sides of the Delaware River in Pennsylvania and New Jersey. Boats ferried 2,400 soldiers, 200 horses and 18 cannons across the river during the original crossing. Washington’s troops marched 8 miles downriver before battling Hessian mercenaries in the streets of Trenton.